We must remember that the main in Salah is to perform it properly. This is what the Almighty requires of us. For example, we find in the Qur’an no word with the ordinary meaning of performing the Salah. Instead, the Almighty uses words, like ‘Aqim as-Salah’or‘Iqamah-as-Salah’. The word ‘Iqamah’ has a special meaning, implying the proper, i.e. the best performing of Salah. Only in this case Salah is effective and connects us with our Creator. The Almighty puts a special emphasis on Salah. Allah says in the Qur'an: “For such prayers are enjoined on believers at stated times.” i.e. Salah is enjoined five times a day and at certain times. Allah described nothing as specifically as Salah, and gave it a very high status and a great importance. The Qur’an says about the connection created by Salah between the servant and the Creator: “Then do ye remember Me; I will remember you.” Just think about it! This Ayah means, the Almighty tells us to remember Him, so that He remembers us. The more we remember Allah in Salah, the more He remembers us. There are different kinds of worship, such as Dhikr, Tasbih, fasting and much more. But Salah is different from them, being a link between the slave and his Creator. It creates a connection between the slave and the Almighty. When it breaks, when the slave stops doing Salah, all other forms of worship lose meaning. There is no use in any other good deeds, if a person does not establish Salah properly or totally neglects it. 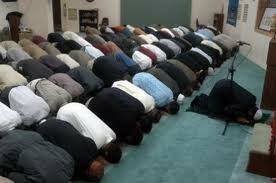 This is the important role of Salah in the life of Muslims! It lights their path to Allah. Through Salah they avoid what is evil and forbidden, find happiness in this and the Eternal life. The Almighty never forgets any of his slaves, either sinners or non-sinners. For He is never forgetful. However, Allah remembers a slave establishing Salah in a special way, shows him special grace, gives him special protection and helps him in trouble. Here is the connection through Salah between the slave and the Almighty. Today, when Islam is getting more attention, when Islam is becoming more popular in Europe, many people are proud of being a Muslim. Many of us are proud of their great ancestors, and claim that they are Muslims themselves - Alhamdulillah! But these people do not even establish Salah, and still dare to say that “Salah does not mean everything in Islam.” If you break the walls of the house, saying: “They are not the whole house yet!”– what happens to the house? It collapses! Such is the essential role of Salah in Islam. That is why Salah must be the most important thing for each of us. Unless we, who are proud of being Muslims, pay enough attention to Salah, none of our dreams is feasible, for example, the unity of the Muslim Ummah or the spread of Islam among the population. Therefore, people in management, running some organizations, etc. will benefit and have success in business, if they provide all the conditions for their empoyees’ Salah. For the man who broke the connection with the Creator is unreliable. Even if he seems very respectable and decent, he is not. Therefore, Salah is especially important for the people in charge of the Ummah, the nation, the society. Unfortunately, some people today used to establish Salah, but stopped doing it once they took high ranks and positions. It happens in our society. Therefore, it is grievous for this person in the first place. He traded in his connection to the Creator for the connection with whom He has created. Performing Salah, making prostrations, a man emphasizes his entire servitude to Allah. He voluntarily chooses the servitude to the Almighty. Because – whether we like it or not – we are created by Allah and, therefore, are His slaves, even if someone denies it. Islam is a voluntary acknowledgment of our servitude, Allah has chosen us for. The first thing a man does, after he recited Shahadah and entered Islam is a five-time Salah. This is the first step of a Muslim. Thus, from the very beginning he establishes the connection with the Creator, which is necessary for him to save him from crumbling in this life, deep in sins. A person might say: “I work very hard, so I cannot establish Salah.” And Who takes care of him, Whose benefits does he enjoy in this world? Allah addresses this ayah to those who neglect Salah because of work. Who gives you sustenance – you on your own or the Creator? Did you create the water that keeps you alive, or Allah did? The Almighty provided everything necessary for life. So establish Salah at the fixed times. That is what Allah says to us. Therefore, it is impossible to imagine Muslims without the connection through Salah. Our Ummah cannot achieve well-being without proper Salah and encouraging others to it. This starts with ourselves, with our own family and embraces everyone we encounter daily. Oh Allah, give us the strength and perseverance in carrying out Your orders. Ameen!